"Setting intention, at least according to Buddhist teachings, is quite different than goal making. It is not oriented toward a future outcome. Instead, it is a path or practice that is focused on how you are “being” in the present moment. Your attention is on the ever-present “now” in the constantly changing flow of life. You set your intentions based on understanding what matters most to you and make a commitment to align your worldly actions with your inner values." On your yoga mat, you have the opportunity to focus completely on what you are doing in the present moment with your body and with your mind, and to use that time to practice aligning your mental and physical actions with your intention. Want to be more patient? More tolerant and understanding? Stronger, more flexible, more disciplined? Start on your yoga mat, with your relationship between you and yourself, and your intention will eventually start to infiltrate the rest of your day, your relationships, and your life. And you can make your life your yoga by living with intention as well, by practicing living at each moment in alignment with sankalpa. So instead of wishing you a Happy New Year, this year I ask you, What are you practicing this year, in this and every moment? 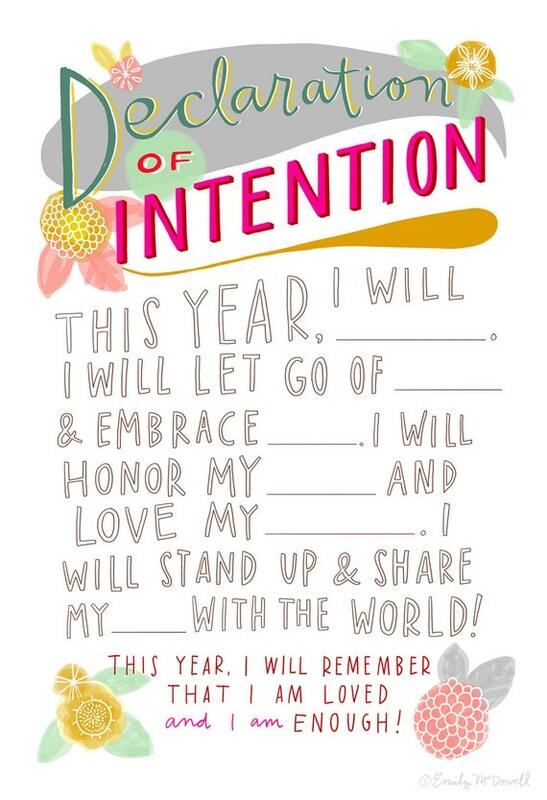 What's your intention?